Due to my attempt to create a perceptual interface using OpenCV, this post is the first in a series to explain briefly some of the capabilities of the OpenCV library, an open-source computer-vision library. OpenCV comes with over 500 functions that cover many areas in vision, and its goal is to provide a simple-to-use computer vision infraestructure to build fairly sophisticated vision application quickly. The library is written in C and C++ and runs under Linux, Windows and MAC OS X. There is active development on interfaces for Phyton, Ruby, Matlab, and other languages. Finding faces means finding complex objects, so OpenCV uses a statistical model (often called classifier), which is trained to find the object we are looking for. The training consists in a set of images, divided into “positive” samples and “negative” samples. The positive samples are instances of the object class of interest and the “negative”, images that don’t contain the object of interest. 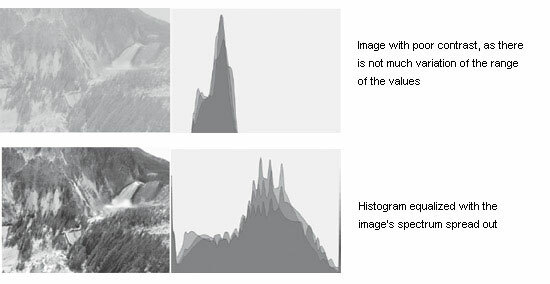 The feature used in a particular classifiers is specified by its shape, position within the region of interest and the scale and for a basic understanding the idea is that these features encode the existence of oriented constrasts between regions in the image so a set of these features can be used to encode the constrast exhibited by a human face and their spacial relationships. Basically, the process of face detection slides a “search window” through the image, checking whether an image region can be considered as a “face object” or not. The detector asumes a fixed scale for the object, but since face in an image can be different from the asumed scale, the “search window” goes trough the image several times, searching for the object across a ranges of sizes. If you have downloaded OpenCV 2.0, you will find a nice example to start playing with, it’s located at [installation_directory/OpenCV2.0/samples/c/facedetect.exe, and the C source code at [installation_directory/OpenCV2.0/samples/c/facedetect.c. The classifier works on on grey scale images, so the incoming BGR image img is converted to greyscale and then optionally resized. minSize(the minmum possible object size, object smaller are ignored). From here on, everythings is pretty straight forward, we loop through each face and drawing a circle in each face location. Here we check if the we have loaded a second classifier. In our case, facedetect.c defines a second classifiers, which has been trained to detect eyeglasses, so what we are doing here is to repeat the process explained above, but instead of looking for faces in the input image, we are looking for eyeglasses only in the regions of the images that are considered as faces. This explanation helped me alot. Thank you so much.